I was browsing the nail polish section at Ulta a few days ago and I was having the hardest time deciding which polish to buy, as usual. I was debating between a bright coral and a sea foam green when this beautiful polish came into my line of sight. It was my obvious best choice because fall is finally here and Halloween is just around the corner. This is an Essie polish in the shade Haute Tub. 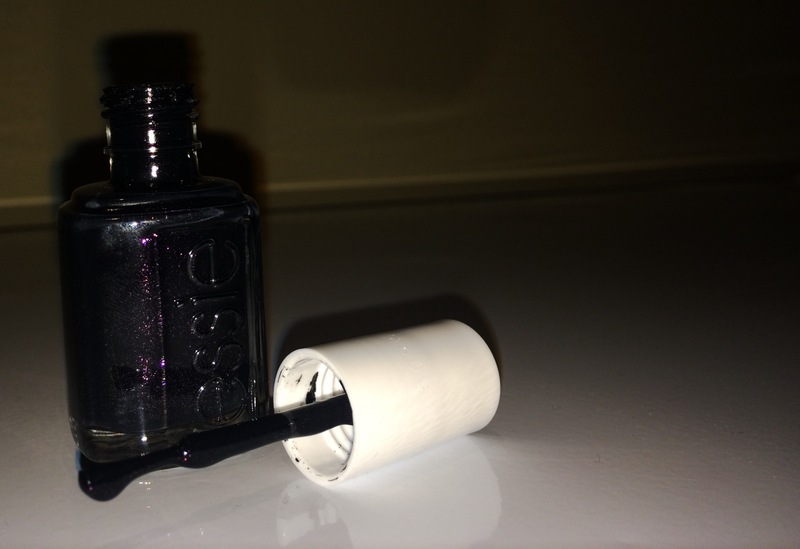 At first glance it seems like your average black nail polish, but when it catches the light it has a sort of purple shimmer to it. I feel like the purple glitter gives the polish a perfect spooky Halloween-type touch. The pictures don’t quite do it justice, but trust me this polish is beautiful. You can find it at Ulta for $8.50. Go out and get it so you can rock some fabulous spooktacular nails with me this Halloween!